Hey guys, we are working on the evolution of selling music, we will be releasing bit's of it via Hydra, VUE as it comes along. There's 100's of little bits (what you guys have been suggesting) but this next big step is required to give you a better all around selling experience. The main features point to a July release. · DJFATZ, SkillyMusic, PixelSashay and 7 others like this. 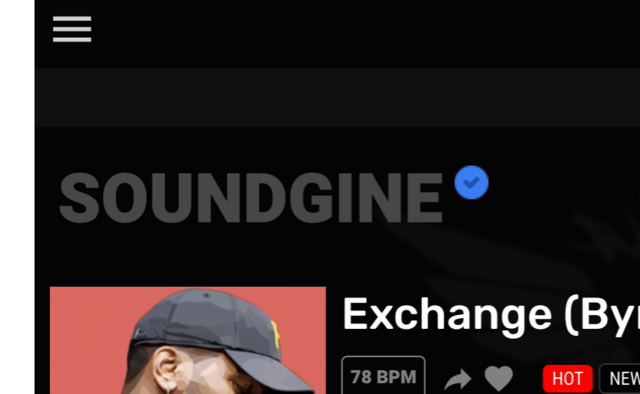 @Soundgine' Hey guys, we are working on the evolution of selling music, we will be releasing bit's of it via Hydra, VUE as it comes along. There's 100's of little bits (what you guys have been suggesting) but this next big step is required to give you a better all around selling experience. Thanks guys, we absolutely "hate" and I don't usually throw this word around very often, but hate being this silent. Usually, we have little updates a week but this time it's building a whole new set of tools in the mix and although I can't mention what it is it will make your business more diverse overall. There are small updates that will be pushed based on what we are working on that I can share. It's not all or nothing, you can choose exactly what you want displayed. I do realize these are tiny things but we are working on real features right now. As we develop we will trickle down these small updates if applicable. · SkillyMusic and chrisville like this. Awesome, especially the hydra name font!! @Soundgine' Thanks guys, we absolutely "hate" and I don't usually throw this word around very often, but hate being this silent. Usually, we have little updates a week but this time it's building a whole new set of tools in the mix and although I can't mention what it is it will make your business more diverse overall. sounds awesome! if you do this update, please include ability to use custom CSS to really customize player. @Soundgine' There are small updates that will be pushed based on what we are working on that I can share. OH THANK YOU !!!!!!!!!!!!!!!!!!!!!!!!! Now THIS is great. I have always felt caged with EVERY player I have used including here when it comes to taking some things off that I don't want on my player. This is LONG AWAITED -' @Soundgine'' @Codemaker' do you think you could give us the ability to write our own Checkout script (where the arrows are in the picture) . You could even give us a set amount that we can type if you are concerned with people writing book length Checkout words. · berklimusic and ja809 like this.